The Countess, born Anna Constantia, had gained power and reputation through an early marriage which landed her the title of Baroness, which she was able to transform into an eight year position as the official mistress to the King. Anna was the daughter of a knight and the daughter of a Hamburg merchant. She was a concubine of Adolphus Magnus, Baron of Hoym, before they married in 1703. Their marriage was not to last and when she met Augustust II the Strong, Elector of Saxony and King of Poland, in 1704, the couple were already estranged. They were divorced in 1706. When she arrived in Dresden, Anna claimed she was still the baron's wife so she could appear at the royal court. Baroness von Hoym’s vivacity caught the king’s attention and fell in love with her. Anna’s rise in the king’s court was imminent although it also earned for her the enmity of the courtiers. Her former husband thought she was unsuitable for a king’s mistress and attempted to prevent their relationship, albeit unsuccessfully. The king’s pious wife, Christiane Eberhardine of Brandenburg-Bayreuth, exiled herself, disgusted with the king’s scandalous Polish court. Now, it was only the king’s other mistress the Princess Teschen that Anna had to deal with. Finally, in 1705, the Princess Teschen was banished from the court, and Anna finally reigned as the king’s official mistress. In 1706, she was elevated to the position of Imperial Countess (Reichsgräfin) of Cosel. She gave birth to the king’s daughter on February 24, 1708. The following year, she bore him another daughter and three years after, a son who she named Frederick Augustus. He later inherited Gut Depenau from his maternal grandparents. By giving three children to the king, Anna thought her position at the Court was indisputable. However, she interfered too much into politics to the point of meddling in Augustus' Polish affairs. When Augustus fall into the charming Maria Magdalena Bielinski, Countess von Dönhoff, alas, Anna’s position was threatened. She was first banished to the Pillnitz Castle in 1713 but managed to escape to Berlin in 1915. She was condemned as a Landesverräter (state criminal) only to be arrested in 1716. Augustus exiled his former mistress to Burg Stolpen, where she remained until her death 49 years later. Since Anna’s downfall until the abolition of the monarchy, Taschenbergpalais became the residence of the crown princes of Saxony, known as the Turkish Palace. From the mid-18th until the 19th century, the palace was expanded and embellished. Towards the end of World War I, the King of Saxony abdicated in 1918. During World War II, Dresden became a communications and manufacturing center, thus, the Allied forces made it one of their targets. Taschenbergpalais, just like other heritage structures of Dresden, was severely destroyed during the Bombennacht (night of bombs) on February 13, 1945. 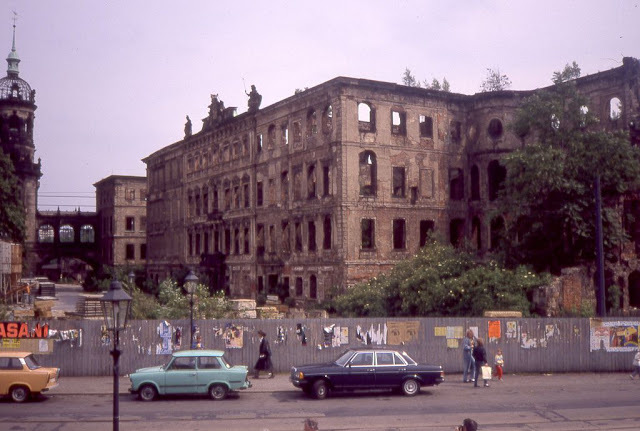 At the end of the war, Saxony became part of the Communist-held East Germany and for the next five decades, ruins of the palace stood untouched and unnoticed. Finally, the palace was meticulously rebuilt from 1992 until 1995 for a whopping 127.8 million euros in today’s value. 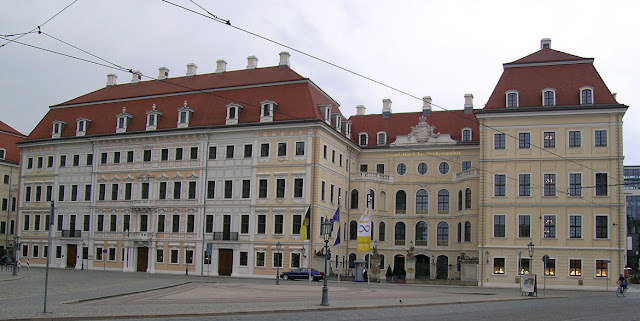 On March 31, 1995, the former palace was opened as a hotel by the five-star chain Kempinski, the first-ever five-star hotel in Dresden. 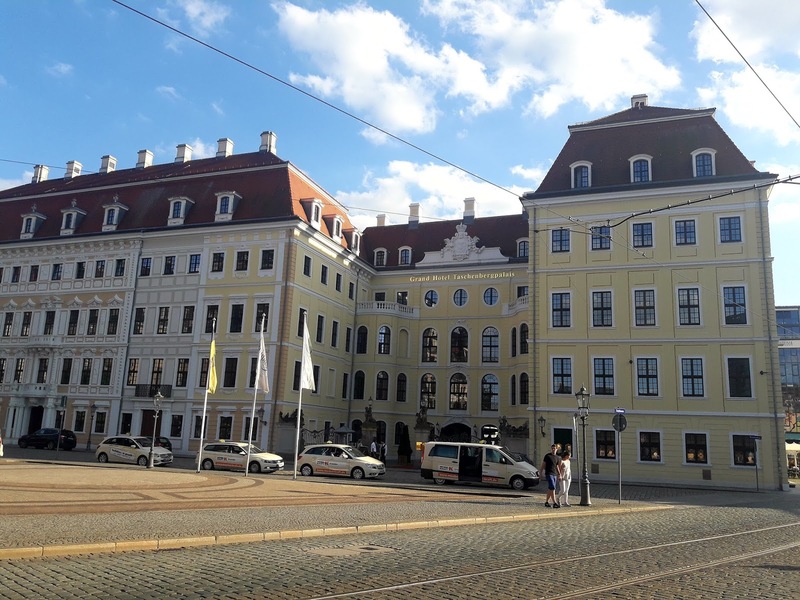 Guests at Hotel Taschenberg Palais can easily look on the Theaterplatz, one of Europe’s most beautiful squares with a panoramic view of Dresden’s cultural splendor. The nearby Zwinger, Semper Opera House, the Catholic Court Church and the Residential Palace are all within your sight. Today, as it has been before World War II, Taschenbergpalais is one of the main attractions in Dresden, adding to Theaterplatz’s already-magnificent beauty.